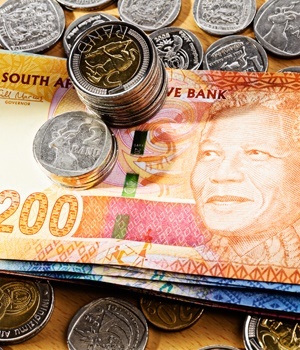 Cape Town - The rand, which traded on the front foot against a weaker dollar on Tuesday, was about 10% stronger at the end of December compared to where it was at the beginning of December. According to financial services group MMI, the rand ended December 10.4% firmer against the dollar, 10% stronger against the pound and 8.9% stronger against the euro compared to the beginning of December. On Tuesday the local currency resumed its strong run against the dollar, and by 10:37 the local unit was trading 0.64% firmer at R12.29/$. The rand had started 2017 at about 13.80 to the dollar. In the absence of data releases, currency watchers are expecting the local currency to be range bound, with Adam Phillips of Umkhulu Consulting seeing the rand trading between 12.23 to 12.38 against the greenback. "Unless some major importer comes in, the ZAR is going to continue at levels that certainly don't inspire exporters to sell," said Phillips. He added that offshore operators and investors were seemingly badly caught out by Cyril Ramaphosa's election as ANC president. "The moves we have seen were very similar to 2001. With gold managing to move back above $1 300 and the EUR above 1.20, this could mean the ZAR could move back below 12.30," he said. He noted that the rand has already experienced a "hefty correction" following Ramaphosa's victory. "I have to ask myself how much Zuma discount is in the ZAR? That might be a further 50 cents," said Phillips. TreasuryOne dealer Wichard Cilliers expects to see some liquidity filtering back into the market as some people return to work. AFP reported on Tuesday that the dollar suffered further selling amid profit-taking after the passage of the much-anticipated US tax cuts, as well as expected monetary tightening by other central banks that will align them with the Federal Reserve.